2013 was a really positive year for Cora Seeds. 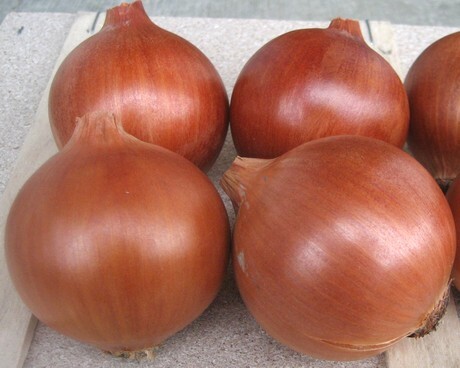 Many products did well on the market, and onions and peppers actually grew. As Maurizio Bacchi, general manager of Cora Seeds, told FreshPlaza, "we increased our market share both in Italy and abroad with Elenka F1, Fiamma F1 and White Opera F1 onions despite the fact that there were less cultivated areas. We have also introduced our varieties of peppers in the Verona area, Campania and Sicilia, and red Lothar F1 and yellow Phantom F1 did particularly well." Left, Elenka F1 onions; right, Phantom F1 peppers. "A positive feedback also came from open field Batavia lettuce such as Aquarel, Susybel and Loribel. Another strong product are Nikas F1 mini-watermelons thanks to its production and uniformity." The species Cora Seeds worked hard to launch was fennel. "Caronte F1 (photo below) is ideal for winter production in Southern Italy. Harvesting is now starting and the produce has an excellent quality. The feedback so far is great." Caronte F1 is a late hybrid for winter cultivation. It has a big round core and a white and smooth bulb. Plants are rustic and vigorous. It has a late cycle (120-130 days), it must be transplanted between September and October and sowed in August. Cora Seeds will take part to Fruit Logistica 2014 (Berlin, 5th-7th February ), Hall 2.2 / Stand B-12, with its range of products and the latest news on research. Maurizio Bacchi (general manager of Cora Seeds), Carlo Piccinini (export manager - Cell. : +39 345 3797036 / Email: sales@coraseeds.com). The products destined to have the most important impact during 2014 will be showcased at the stand, i.e. Caronte F1 fennel, Phantom F1 and Lothar F1 peppers, Vispo F1 table tomatoes and the new series of date tomatoes. "There will also be the onion range with Elenka F1 (yellow long day), Fiamma F1 (red long day) and White Opera (White long day) as well as the latest varieties," concludes Bacchi. CORA SEEDS, professional seeds...for your success!